Need help beating the dark, dreary, lonely winter nights on the island? 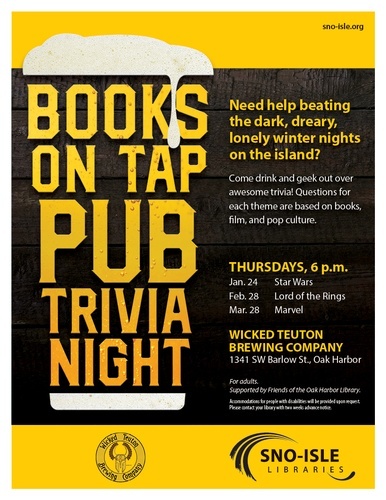 Join us for Pub Trivia Nights! Questions for each theme are based on books, film, and pop culture. Bring a team, or join one there. Join for Lord of the Rings trivia!